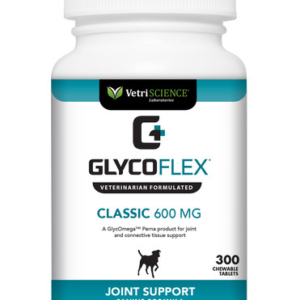 Glyco Flex® Plus joint supplement for dogs provides clinically proven nutritional joint support for working dog breeds, competitive and senior dogs. When your dog gets up more slowly to meet you at the door, you know he’s not just tired. It’s time for added joint support. 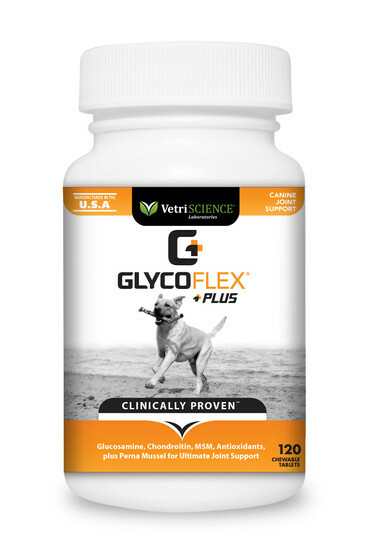 Glyco Flex® Plus, an advanced joint support supplement for dogs of any age, now available in a tasty chewable tablet. Glyco Flex® Plus is a high quality nutritional joint support product that maintains comfort and mobility for working dog breeds, competitive and senior dogs. 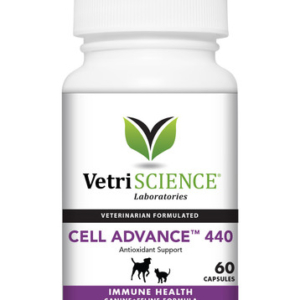 This new formula for hip and joint care includes more active ingredients than other leading brands including glucosamine, perna and DMG for maximum nutritional benefit. 31 – 60 lbs: 1 tablet daily. 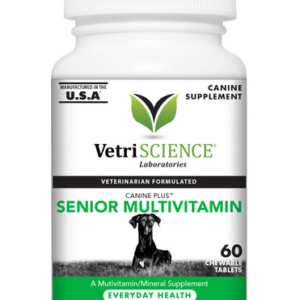 61 – 100 lbs: 2 tablets daily. 31 – 60 lbs: 1/2 tablet daily. 61 – 100 lbs: 1 tablet daily. imitation chicken flavor, silicon dioxide, stearic acid.